Five days. It took me five days to crawl out from the bowels of the rubble. Emerging from my tomb, into a world nothing more than a wasteland; propelled into chaos where everyone has all but lost their humanity. My name is Phoenix, and the world as I knew it ended that day. The day the human race was nearly eradicated, and my journey home began. Follow Phoenix, the heroine of 'From the Ash' on her incredible journey through a ravaged world. An adventure, yes, but also an intrinsically human and touching story. Beautiful cover by: Dane at Ebooklaunch.com. Noelle didn't ever want to harm anyone. Despite basically living her whole life in a dojo, she's pretty open to ideas and despises picking fights. Until one day, she is kidnapped from her own home, and (apparently) sent to Area 51. Most "Upon Wings of Change" readers will by now think, "Oh! She's going to wake up in the lab!" But Noelle is a different story. She hatches directly after the rest of the dragonets have escaped the lab, and, with her new dragonet friend, Scarlet, is lost in this new world of white aliens and (eventually) Kymari. Will she ever reunite with the rest of her kind? Or will her flights of fantasy stay just as they are, a work of fiction? This story was inspired by "Upon Wings Of Change," which was written by @CrystalScherer. All details about this world and the creatures living in it are all Crystal Scherer's ideas. However, the plot and (most of) the characters belong to me. It's the real world, but it isn't. Secrets and dangers lurk below the surface - as well as slavers, strange creatures and a shifting wasteland where humans were once gods. You just need to open your eyes to see past the illusion. You just need to wake up. Meet Anna - a 21 year old cardigan-wearing English major - whose world falls apart when she stumbles home slightly drunk and sees a man dissolve into thin air. From there, hijinks ensue - as hot baristas, Hierarchs, slavers and acid rain make sure to severely disrupt the last year of her degree. She's uncovered a dangerous new world - but soon realises that the truest danger is inside her own skin. Jake gazed at me with his pale green eyes and reclined backwards onto his elbows. I realised that the metal on his hands continued up his forearms under his long-sleeved shirt. It was as if his skin had been stripped away, revealing nothing but a machine underneath. For a few long moments I couldn’t speak. Follow her journals, music and thoughts as she realises that it isn't real. I was breathing hard by the time I felt the hands grabbing me, trying to rip my flesh apart. They pulled me down with their weight. I screamed. I felt them sinking their teeth into my flesh as I screamed louder, not caring if more came, as I was already going to die. I suddenly felt them being pulled off me. I sat up and saw man killing the zombies that were just piling on me. As the man turned around I noticed that he looked like he couldn't be much older than me, maybe 21. He had blood all over him but I don't imagine I look any better. He walked over to me and stuck out his hand to help me up. I took him up on his offer. After I stood up I noticed how many zombies truly were after me, there were maybe 10 or 12 bodies laying on the ground. I looked at the man and suddenly realized that I was bit and if he didn't leave soon I could end up attacking him, though I doubt that he will have any problems with being able to protect himself. zombie for 9 months now. This is how I turned and how I survived. All credits are given to @CrystalScherer for letting me use her zombie ranks and some of her characters from the book 'The Virus Within'. Third book in the Creatures of Fate Chronicles. A child who has yet to draw his first breath becomes the obsession of an unknown entity; a powerful being who seeks to claim the thrones of both Heaven and Hell as its own and unleash Armageddon upon the mortal realm. Haunted by visions of its own undoing, this usurper will stop at nothing to eradicate the one responsible; this mortal child. Bishop, the Archwarrior, is declared the guardian of this unborn child, though he doesn't quite understand why he is tasked with such a role. 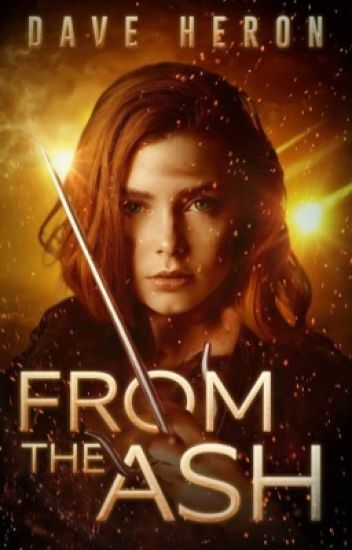 But when forces rise from the depths of Hell, Bishop, along with his Warrior Angel siblings, quickly learn that this child is hunted by the usurper, who seeks not only the boy's death, but the demise of any who protect him. One fateful night, Max Harper's story begins. I would like to dedicate this book to my wife and son. Unfortunately this story is semi-true. My wife had five grand Mal seizures (I was driving when the first one occurred. Luckily we were only a few miles from a hospital) which led doctors on a course I was not ready to sail. She was put in a medically induced coma for five days. She pulled through with flying colors. My son was born at 1 lbs. 7 ounces. He spent a total of 112 days in the NICU, numerous surgeries. The amazing nurses and doctors making this rugged journey a little more easy to deal with. My son showed me strength I only thought existed in fairy tales. They were the inspiration for this story. I love you two endlessly. Claustrophobic twenty-one-year-old Rowan was on her way home to her semi-abusive boyfriend when she was kidnapped. When she awoke, she found herself in a small cage with two wings and a tail. Oh, and let's not forget green scales! When the white aliens attack and she is separated from her flock and two friends, only to be recovered nine years later injured with a torn wing, will she be able to put old fears and paranoia from the dangerous forest behind her? Will Tkael be able to tame the frightened and feral fire lizard? In the Celtic tribal village of Drumcliffe, a crisis is brewing. Strange foreigners have entered the land, and threaten ancient borders. Tara, the chieftain's heir, realizes the dire state of their troubles, and that they have only just begun. Their solution lies in her hands. But with prophecies predicting her doom and loyalties in question, Tara will have to make a ground-shaking decision that may risk the lives of all. Dog walking. That's what animal loving Asena decided to take up as her after-school job and she wouldn't have it any other way. What she hadn't expected was to meet a certain green-eyed guy and the events that would start to take place afterward. *Warning: Cutting is mentioned in this book. **Undergoing editing by @Zoriey. Chapters that are marked have already been edited.